Parent view of a piano lesson in Diane's studio. Sabine in one of her wild outfits. Maria shows off her new music bag. She made it herself. 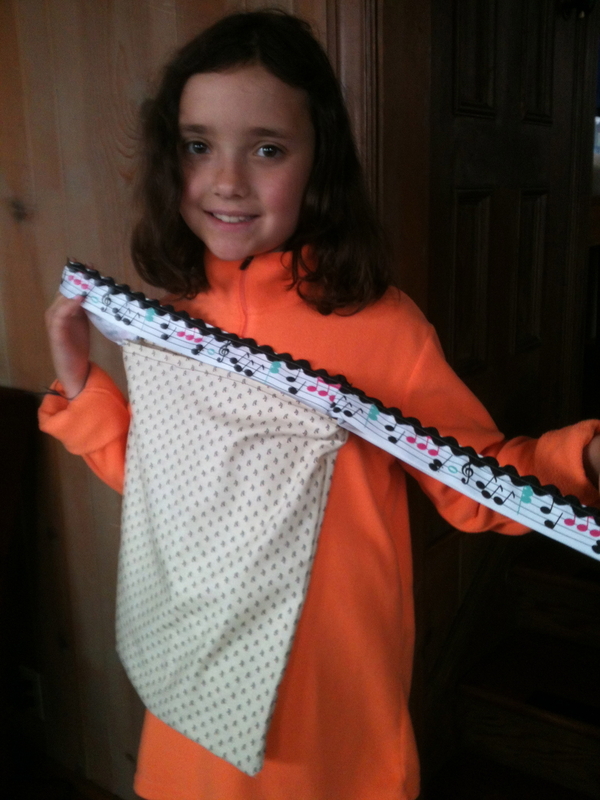 I love the ribbon she used to make the straps. Sabine writing on her own music. 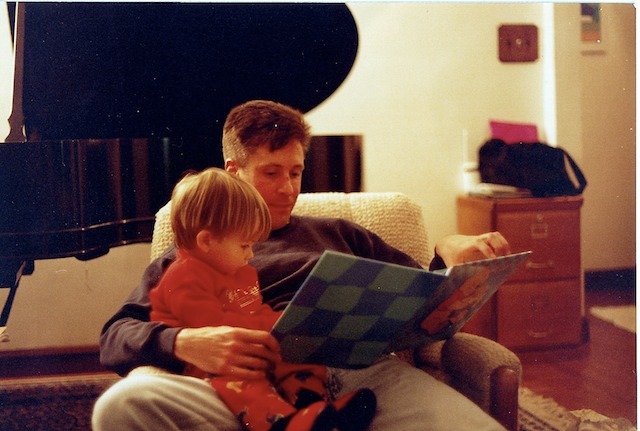 Keith Snell reading to my son, Bryce, age 2, in 1997. Performing at my student Dave's beautiful apartment on February 10, 2013. Deborah and guest performer Jason play music of the French Court. Dave and Chungte study a score after the performances. Barbara and the rest of the gang enjoying yummy food after they play. Dave always has gorgeous flowers.